Last week the Spanish house on Glendon received a price reduction of $150,000 in order to spur some activity. Well if a price increase is any indication, it looks like it worked. 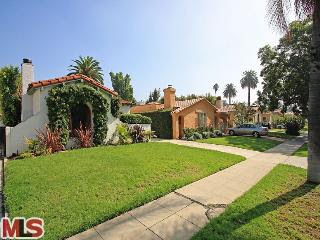 Today the home at 2234 Glendon Ave., LA CA 90064 received a price increase of 4.76% or $50,000, up to $1,100,000. The property was listed 46 days ago on 10/15/09 for $1,200,000. According to the MLS, the home is a 2 bedroom / 2 bath, 1,602 sq ft of living space on a 5,400 sq ft lot. The house is very clean, with an updated kitchen, and is in move-in condition.